"The plague of bad British barbecue is over. 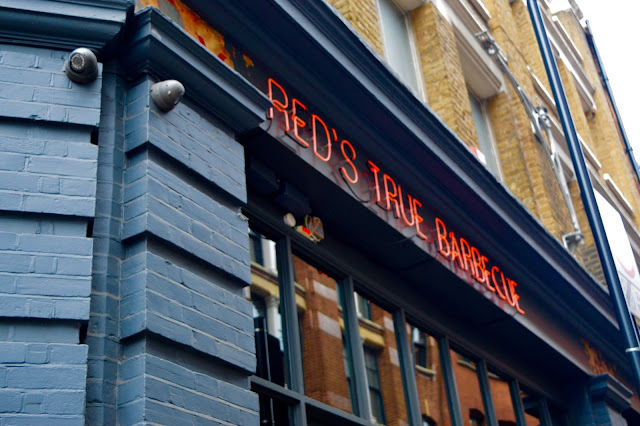 You are free"
Located just a short walk from Shoreditch's famous Box Park is Red's True BBQ. 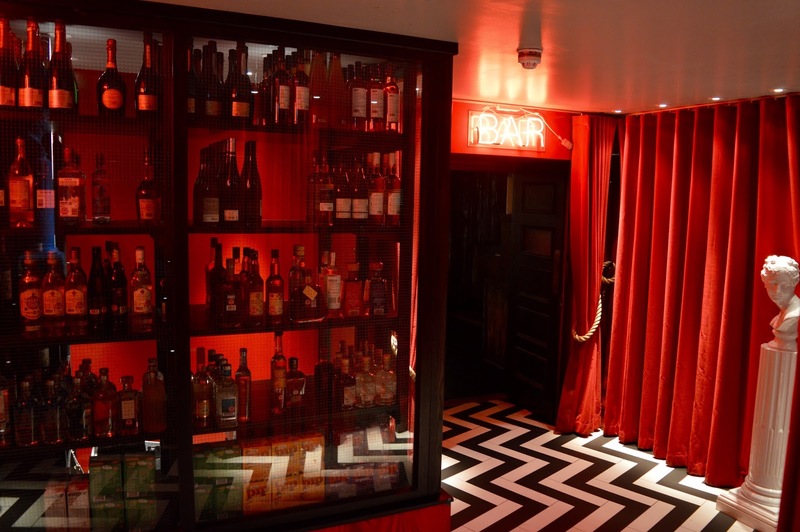 The sixth of the Red's chains to open, the Great East Street branch is decorated with neon lights, crystal chandeliers a Twin Peaks inspired bar and boasts to be 'the second coming' for all things meat. Being a BBQ restaurant, Red's specialises in prime cuts, smoked and slow roasted joints, burgers and ribs - all featured in their 'good book'. Founded by BBQ enthusiasts, Scott Munro and James Douglas, the restaurant also offers an extensive collection of exclusive BBQ and hot sauces to enhance your meat experience, inviting you to "worship" at the altar of British barbecued indulgence. "The Church of True Barbecue brings forth the gospel of glorious smoked meats, rubs and table sauces"
The menu is rather impressive - so much so that I was pretty torn about what to order. One dish, the chains most famous, is the Donut Burger - two burger patties, melted cheese, smoked bacon, onions, and dirty sauce wedged between two sweet, glazed donuts. Despite the temptation of donuts, Jack and I opted for a tray each. 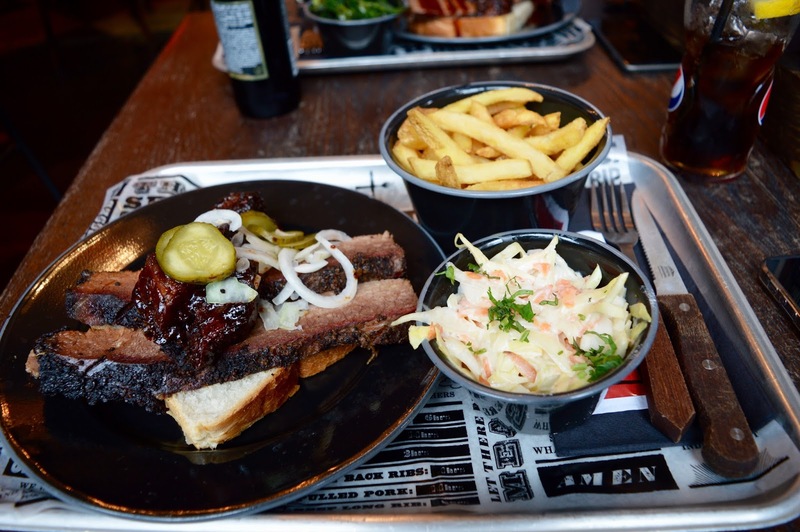 A tray includes a meat of your choice (ribs, chicken, brisket and more) with a selection of x2 'Humble' (smaller) sides such as fries or salad, or x1 'Divine' (larger) side such as beans or mac'n'cheese. 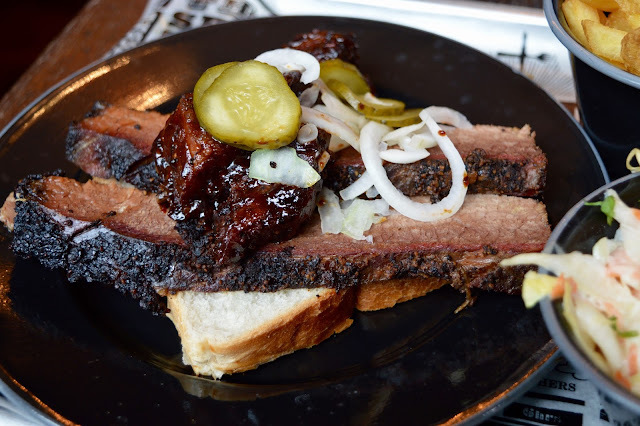 We chose the USDA Black Angus Brisket and Burnt Ends - a 12hr cooked, 13hr smoked brisket with thrice cooked burnt ends. The dish comes served with onions, pickles, mustard 'caviar' and served on white bread. As a tray dish, I opted for the Buttermilk Coleslaw and Skin on Fries as my sides of choice. Also available are BBQ greens (pictured below on Jack's tray) which are essentially garlic covered greens that taste excellent. It might not have looked like a lot on the tray but it really was a lot of food. So much so, it definitely defeated me. 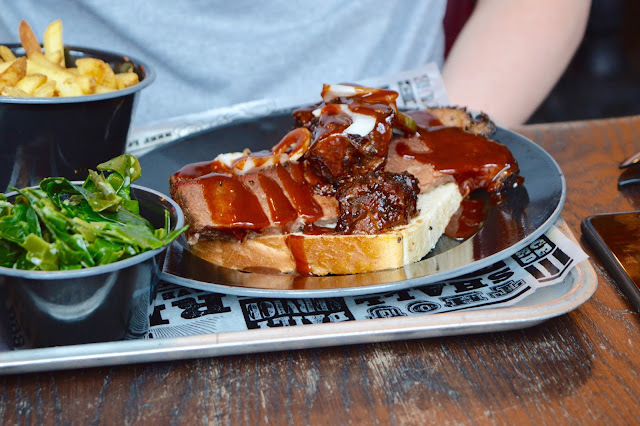 The brisket melts in the mouth and are bursting with flavour from the thirteen hour smoking. It was, however, a lot hotter than I was expecting. As someone who isn't a fan of spice, this was quite a challenge but the meat was so delicious and, combined with the tasty, sides this made for a fantastic meal. Luckily, the Buttermilk Coleslaw certainly saved my tongue. 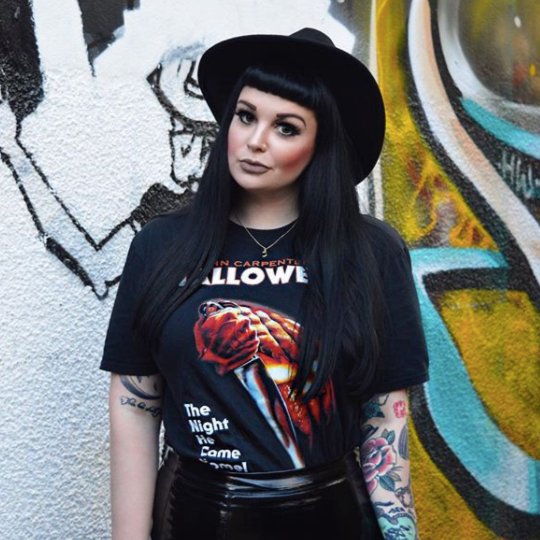 If you don't want to go for the food, however, you can go for the drinks. Downstairs, you'll have find a rather awesome looking bar which pays homage to Twin Peaks - complete with red curtains, monochrome flooring and, of course, more stunning neon lights. Overall, I was really impressed with Red's True BBQ. 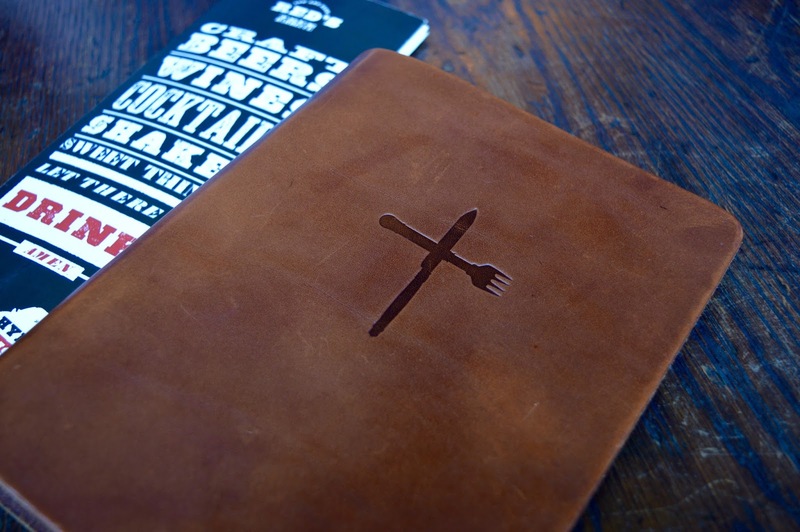 The service was good and friendly, I loved the decor and think that they're branding (meat and BBQ presented as religion) is spot on. If I were to visit again (which I hope to do so very soon), I'd love to try one of their burgers or sandwiches which, judging by other people's tables, looked fantastic and covered in cheese. Red's had been on my list of places to visit for a while and so it made for an excellent birthday meal. 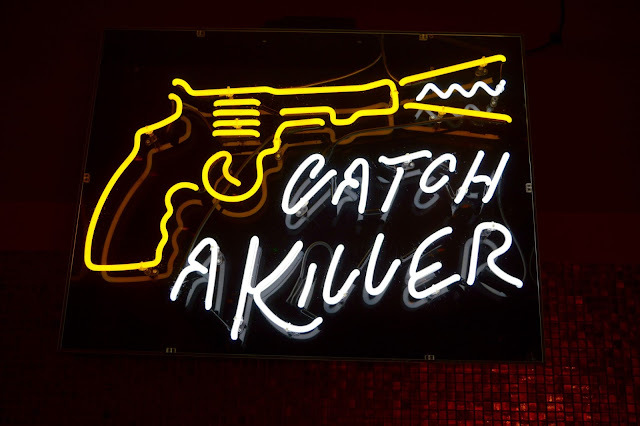 A tray dish or burger with sides is likely to set you back around £20 each, plus drinks which is to be expected with most Shoreditch eateries. So that's it for another foodie review. 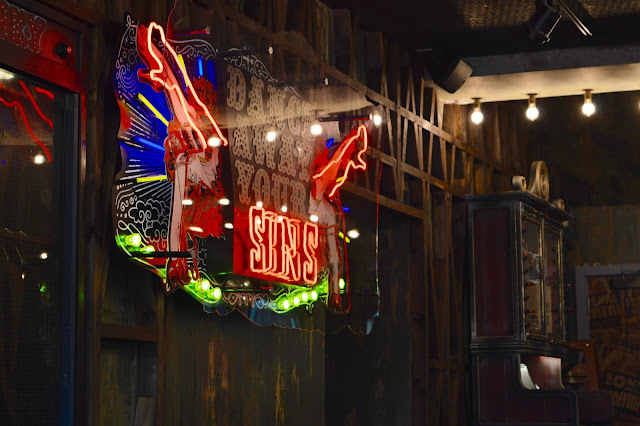 Have you ever been to Red's True BBQ? 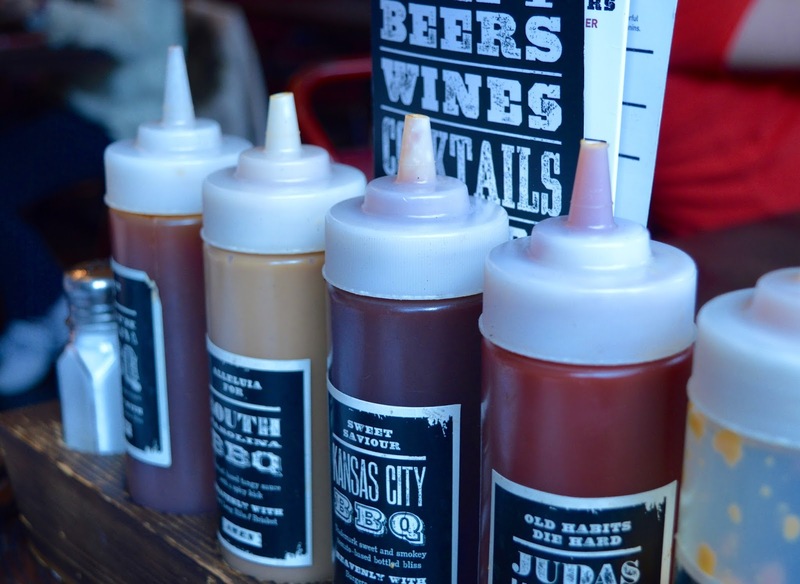 What's your favourite BBQ restaurant? 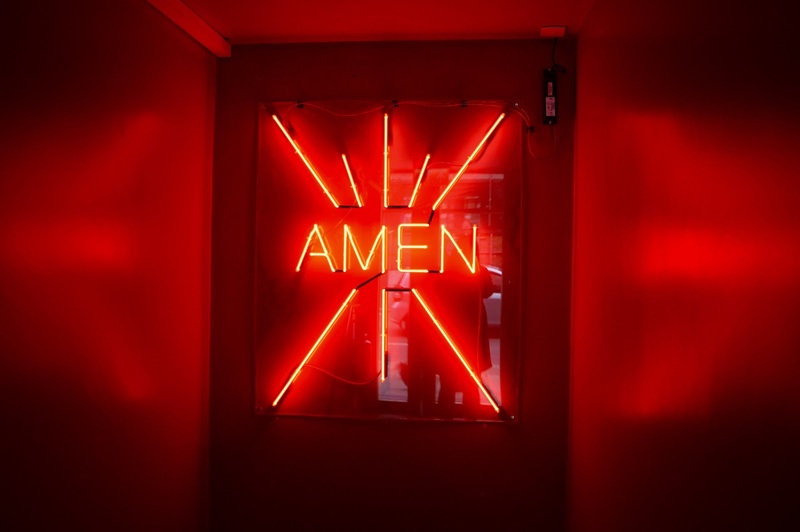 As always, I love reading your thoughts so please do leave your comments below. The amount of times I have walked past this place and never ventured in! I love the whole vibe of this place! BBQ is god in my opinion! I must go here and pig out! I'm hungry now haha! Glad you had a lovely birthday!! Oh my god, this place looks great! 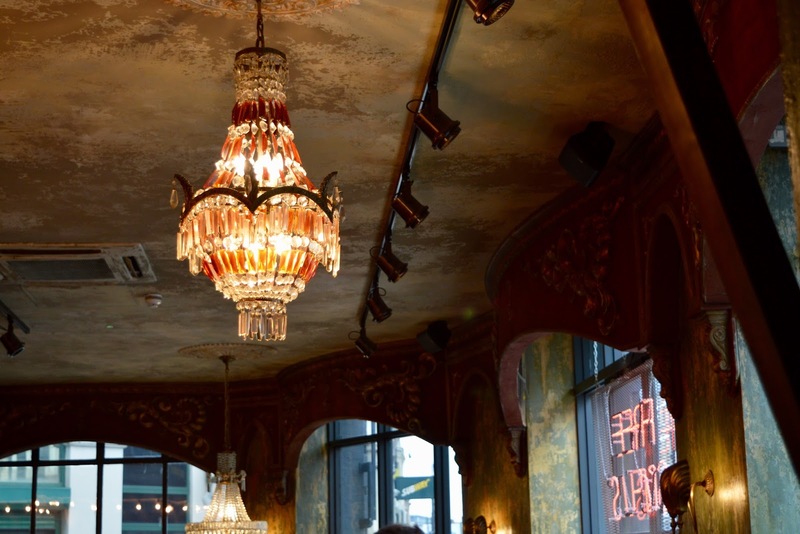 London has so many restaurants to choose from - I will have to plan a proper trip up there and try some of these out.